Morning television talk show host, Donna Drake, joins Deidre and JG for an episode filled with the truths about where hope and determination can lead! A small-town gal from St. Louis who created a television show that is now in several US cities, Donna shares how she got what she hoped for, and how we all can, too! Hope is the belief that circumstances will get better. It's not a wish for things to get better -- it's the actual belief, the knowledge that things will get better, no matter how big or small. Donna Drake, television talk show host of “Live It Up” joined Deidre and JG this week to share her inspirational journey and the “wiZdoms” she learned along the way. Donna has interviewed some of the world’s best-known motivational experts and she shares real stories from real people. Find out more about “Live It Up” at www.liveituptvshow.com or email Donna at liveituptvshow@gmail.com. Don’t let your fear stop you. Look back at everything you have accomplished so far. Tell yourself, “if I can do all of that, I can do this.” You need to have courage and commitment to overcome fear. Surround yourself with a team you can trust. Find the people that believe in you, collaborate with you, and are always on your team. You will always need these people in your life. Don’t give up if you fail. When Donna interviewed Evander Holyfield, he told her about something his mom said to him that resonated with him: “If every time you fail, you run off and try something else, you won’t be successful at anything.” If you don’t succeed the first time, keep getting back up and do it again. Everyone can learn something from another person. Famous or not, everyone has a story to tell and what we can you share about our journeys may help someone else one day. 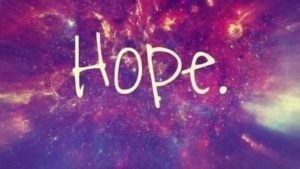 LISTENERS: Do you have hope? Share your experiences and “wiZdoms” with us! Either leave us a voicemail at 1-646-653-9278 or send us an email. We may talk about it - or we may even talk with YOU - on the air! ← The Mind of the Leader!